Is Fentanyl laced Heroin causing the Overdose Epidemic? Fentanyl: The biggest culprit of the heroin overdose epidemic? As the United States finds itself in the grip of a horrific opiate epidemic, as millions become hooked on legal painkillers and eventually turn to heroin, one of the biggest culprits of the heroin overdose deaths may be the drug Fentanyl. While overprescribing doctors, a failed War on Drugs, and inadequacy or misunderstanding regarding the important of treatment by government and community organizations all have a heavy hand in the rise of the opiate epidemic, it may truly be Fentanyl that plays the biggest part in the massive increase in heroin overdose deaths sweeping the nation. Fentanyl is a synthetic opiate, a painkiller, that has a rapid onset and a short duration of action. This means that the effects of the painkiller come on quickly and last a short time. However, Fentanyl is also approximately 80 to 100 times more potent than the drug morphine and 15 to 20 times more potent than heroin. It is most often administered in the form of a skin patch, lozenge or film that dissolves in the mouth of the user. It can also be used intravenously. Why is Fentanyl to blame for addiction? 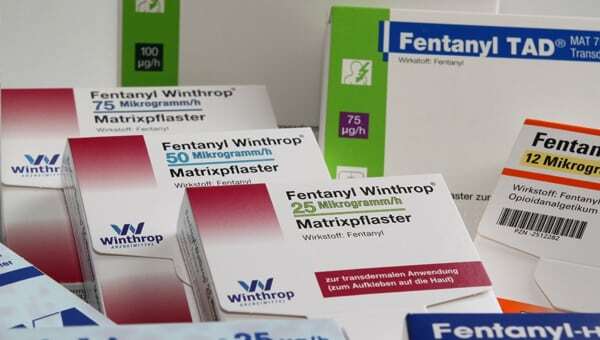 Fentanyl, because of its potency, is often used by drug cartels or drug dealers to make weak heroin stronger. Therefore, the heroin is mixed or “cut” with the Fentanyl. Because the two substances are similar, with similar pain killing effects and act similarly on the brain receptors, many heroin addicts don’t know that they are using heroin cut with Fentanyl. However, because Fentanyl is much more potent than heroin and has such a quick and intense “high”, many heroin addicts overdose because they use too much in a short period of time, thinking the substance they are ingesting is heroin only. This is causing widespread heroin overdoses, especially in the Northeast and Mid-Atlantic areas as well as in the states of Florida and California. In a short time period between 2005 and 2007 there were over 1000 deaths in the United States linked to Fentanyl. Two years ago, law enforcement confiscated Fentanyl 942 times. However that number spiked to a terrifying 3344 times last year. Fentanyl is a powerful substance that is causing overdoses and deaths to many people throughout the country. The substance is powerful and dangerously regulated in the hands of doctors and hospitals. It is unregulated, powerful and even more dangerous when used in the unregulated black market of street drugs and street drug dealing. If you or someone you know is in need of help because of drug and/or alcohol abuse or addiction, please give us a call. Maryland Addiction Recovery Center offers the most comprehensive dual diagnosis addiction treatment in the Baltimore County, Baltimore City and entire Maryland/Washington DC area. If we aren’t the best fit for you or your loved one, we will take the necessary time to work with you to find a treatment center or provider that best fits your needs. Please give us a call at (410) 773-0500 or email our team at info@marylandaddictionrecovery.com.